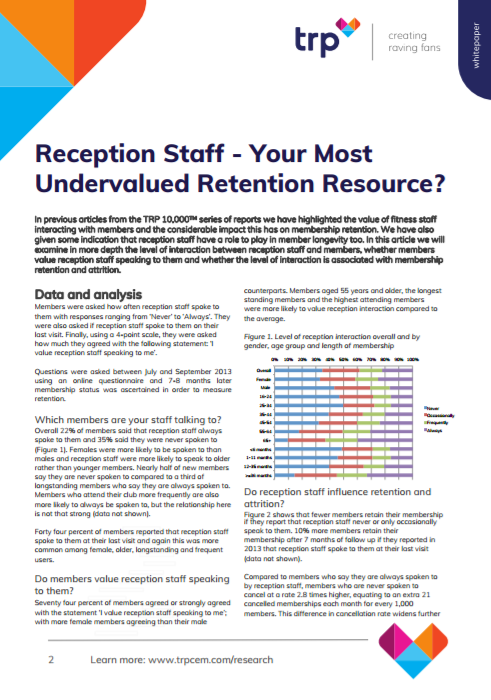 What Influence Do Your Reception Staff Have On Retention? Do your members value being spoken to by reception staff? Which members are your staff most likely to engage with? Do reception staff influence member retention?